The SwingAI Advisory Board guides SwingAI on its data model, Swing elements and player improvement strategies. 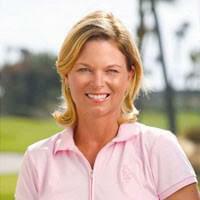 She is the LPGA Master Professional, Director of Instruction at Kiawah Island Club. Carol is the 2 time LPGA Teacher of the Year in 2017 and 1998, a GOLF Magazine Top 100 Teacher, and a Golf Digest Top 50 Women's Teacher, Golf Digest Best in State (SC). She has contributed to many articles and authored the book, "Golf's Abundant Elements". She is a frequent guest on Sirius/XM PGA Tour Radio and a proud PXG Staff Member. Her volunteer work in golf is in the PGA Hope Veterans Program. 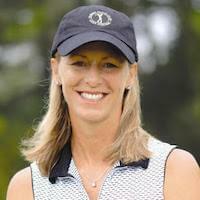 Carol is AimPoint L2 Certified and BioSwing Dynamics Certified. She has served as President of the LPGA SE Section Teaching & Club Professionals for three (3) terms. 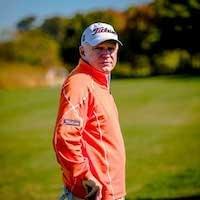 He is a GOLF Magazine TOP 100 Teacher in the US for over 17 years and has been teaching golf for over 32 years. During that time, he has given well over 40,000 golf lessons. 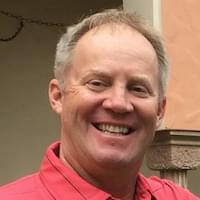 Steve has written over 100 instructional articles for the likes of GOLF Magazine, Sports Illustrated, and GOLF.com and has contributed to 3 golf instruction books that have been published. He has been seen on CBS, the Golf Channel, ESPN, TNT, Dish and Direct TV with the Tour Angle 144 Training Aid and 3L Laser Putt. Steve's students have come from all walks of life – from CEOs, Presidents of Fortune 500 companies, members of the entertainment industry to professionals from the PGA, Champion's, LPGA Tour's to the US Kids, AJGA, state events to college championships. He is a GOLF Magazine Top 100 Teacher in America with his previous experience including Lead Instructor at the PGA Center for Learning & Performance in Port St. Lucie Florida, PGA Education faculty Lead Instructor & Presenter. While working with players of all levels, Joe is heavily sought after by LPGA touring professionals and teaches numerous players out on tour including Hall of Famer Julie Inkster and 2012 Rolex player of the year and former world #1 Stacy Lewis. Highly regarded for his expertise in PGA member education, golf instruction, media relations and the golf industry, Hallet's career achievements have been as diverse as serving as a PGA Lead Instructor of the PGA Professional Golf Management Program and the PGA Master Professional Checkpoint Faculty; and a former Host and Producer of the popular "The Golf Show" on Sportstalk Radio Network. 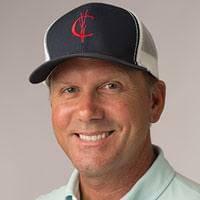 Hallett has also been a part of the PGA Faculty Team for the PGA Certified Professional Program, serving as a Subject Matter Expert in golf instruction, teaching technology and development programs, and a mentor for his fellow PGA members. Kellie is a Golf Digest Top-50 Women and rated as one of the top teachers in the state of New York. Also, since 2009 Kellie has been named each year as one of the Top 100 Teachers in the nation by Golf Magazine. 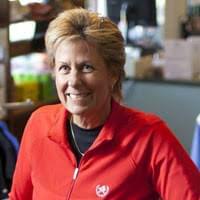 She coaches players year-round, traveling between the Boca Raton Resort and Palm Beach Country Club. Kellie has published three women's golf books: "The Women's Guide to Golf: A Handbook for Beginners," "The Women's Guide to Consistent Golf," and "The Women's Guide to Lower Scores". Her website KellieStenzelgolf.com features golf improvement content and she is a founder of PhaseGolf.com, a comprehensive website for women golfers of all skills. She has presented to her peers in many coaching summits, most notably the PGA of America's national Teaching & Coaching Summit. Kellie is Golf Digest best teachers in Florida, 2017 50 Best LPGA Teachers, GRAA 2017-18 Top 50 Growth of the Game Professionals, PGA master professional and LPGA class A member. An accomplished player, Kellie has competed on multiple Professional Tours and finished top 5 in order of merit on the Ladies Asian Tour. Joe is a PGA Master Professional, a GOLF Magazine Top 100 Teacher in America and a PGA of America Adjunct Faculty Member, teaching the next generation of professionals the science and art of coaching. He instructs players of all ages and abilities and has adopted multiple technologies in his programs to help his students. Joe has contributed to articles, videos and appeared on television, satellite and terrestrial radio to reach a large audience of golfers. Currently a Director of Coaching at HIT Golf Academy, Forest of Arden. Chris's professional coaching career began in 2005 when he passed his PGA exams with honors, achieving a coveted top 10 place in the trainee of the year award. Chris went on to spend 16 years at the world-famous Belfry Hotel & Resort where he established himself as one of the areas best coaches and working his way up to hold the position of Senior Coach. As a full-time coach, Chris has conducted over 10,000 lessons ranging from the complete novice to players in the professional ranks. 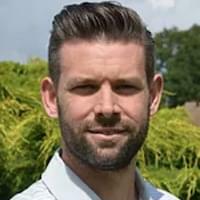 As well as his coaching role at HIT Golf Academy Chris is an integral part of the Warwickshire County program, a position he has now held for over 5 years. You may also see Chris on the pages of the UK's number 1 selling golf magazine, Today's Golfer. As one of their top 50 coaches, he can be regularly seen offering instructional articles as well as equipment reviews as part of his role as the magazine's equipment guru. Over recent months Chris has also been making a name for himself as one of the best and highest regarded instructors on YouTube. With his channel only just entering its 5th year he has already amassed well over 19 million views and is approaching 100,000 subscribers. Joan is the General Manager of Hobbit's Glen and Fairway Hills golf course in Columbia, Maryland which sees over 50,000 rounds of golf per year. Joan is both LPGA and PGA professional and is deeply rooted in golf instruction and brings innovative approaches to grow the game of golf. Joan's highly successful 2018 program “Techies and Tees" inspires more women to learn and play golf. His students include players of all levels, including members of the PGA Tour, Champions Tour, Canadian Tour, Division 1 college golfers, elite amateurs, high profile celebrities. professional athletes, and countless up and coming junior golfers. He has developed a reputation of excellence in instruction that attracts golfers from all over the United States in addition to Canada, Japan, China, Sweden, and Switzerland. Named one of Golf Magazine's Top 100 Teachers in America, FlightScope Advisory Board member Chuck Evans has become one of the most sought-after instructors in the world today. 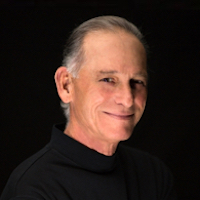 With a career spanning over 40 years between instruction and competing on the National Senior Tour, Chuck's understanding of the golf swing and expert analysis of his students' capabilities has earned him numerous awards and recognition. 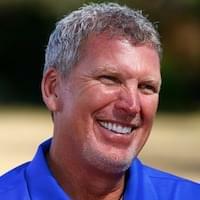 He has spoken at many PGA Teaching and Coaching Summits, Education Seminars and workshops, and has appeared many times on the Golf Channel and in television commercials for products he has endorsed. Named Golf Magazine Top 100 Teacher in America, PGA Golf Instructor in Boca Raton & South Florida. He has done Golf lessons & instruction for over 35 years. He has mastered the quickest way to improve his student's performance through evaluating body types, breathing and each players natural tendencies, whether beginner, intermediate or pro. Scott is a featured contributor in several of Golf Magazine’s “Best Instruction Books”, where he shares his golf experience in an easy to understand and informative format. 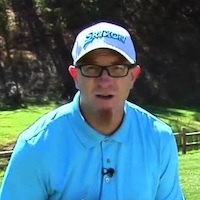 Scott has been a guest on numerous radio talk shows, as well as on Golf.com and NBC’s televised program where he offered valuable advice on golf essentials.